European measures to kybosh flagrant corporate tax avoidance schemes look broadly welcome. Without global agreements, though, disparities will always let the likes of Apple and Alphabet whittle down bills. And binding sovereign countries to one approach is akin to herding cats. 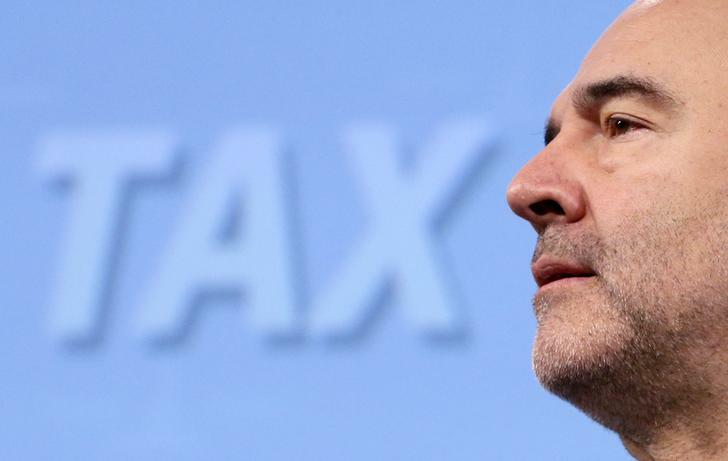 European Economic and Financial Affairs Commissioner Pierre Moscovici addresses a news conference on the tax avoidance package at the EU Commission's headquarters in Brussels, Belgium, January 28, 2016. The European Commission on Jan. 28 put forward a set of proposals to tackle some of the most common tax avoidance schemes used by multinational companies to reduce their tax bills. The new measures would allow European Union countries to tax corporate profits at home in some circumstances even if the money has been transferred elsewhere to avoid such payments. The proposals, which would have to be approved by all EU member states, would empower nations to tax profits generated in their territories after they are transferred somewhere else, provided that the effective tax rate in the country where the profits are transferred is less than 40 percent of that of the original country. Loopholes that allow companies to use dividends or capital gains to skip taxation would be closed and national mismatches in the tax treatment of some complex instruments also would be eliminated, an EU executive said. Ceilings also would be imposed on the amount of interest a company can deduct from its taxable income.